This salad is an original recipe from my village in Ukraine, It’s been passed down through generations. 1.) In a bowl add your ramen, boiling water and seasoning. Cover it with a plate and let it sit for 15 minutes. 2.) 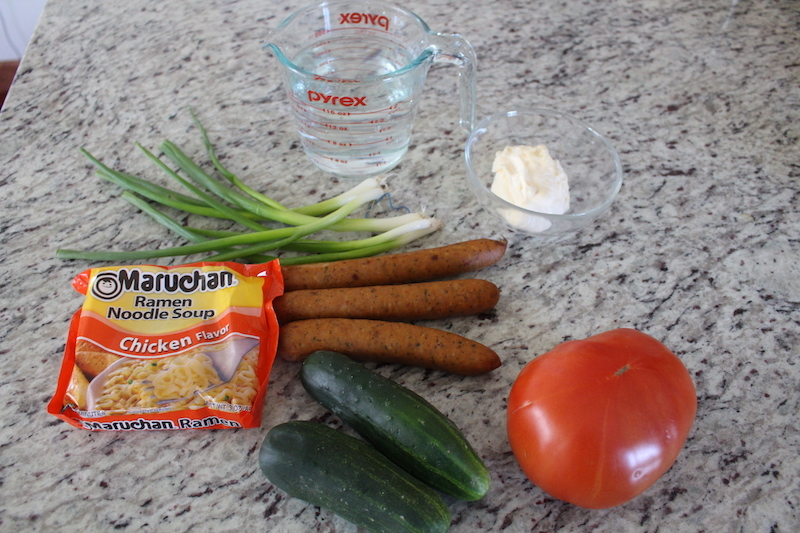 Wash, dry and cut your scallions, tomatoes, cucumbers and chicken sausage. 3.) 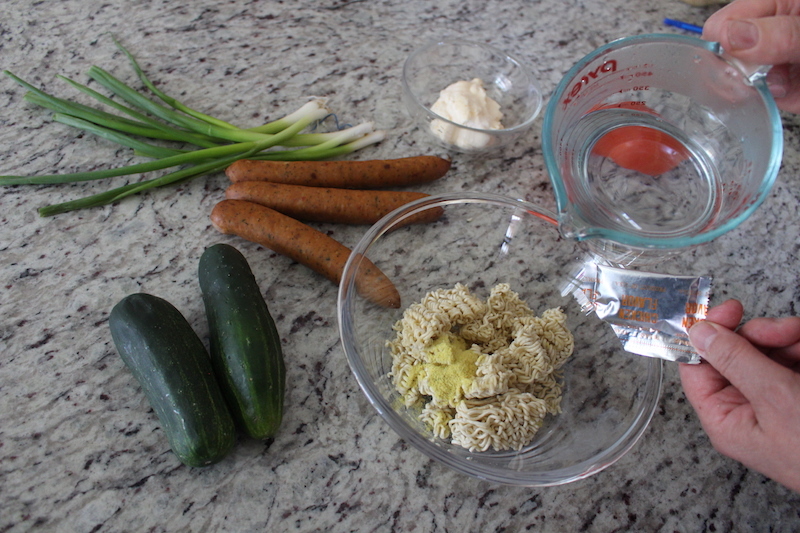 Add all your ingredients in to a bowl with mayonnaise and mix together well. Place on a serving dish and enjoy. 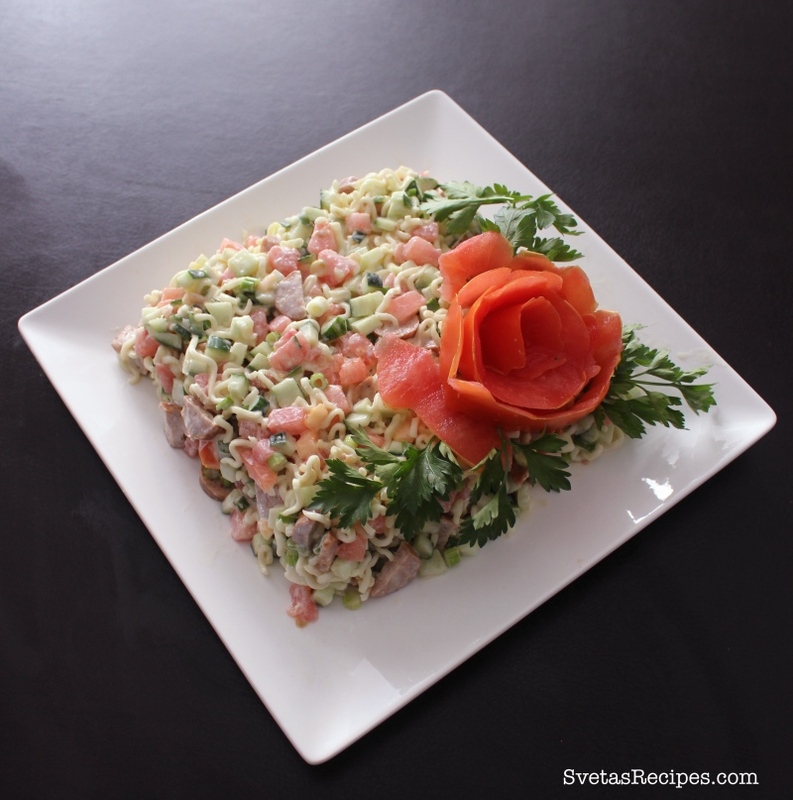 This salad is an original recipe from my village in Ukraine, It's been passed down through generations. In a bowl add your ramen, boiling water and seasoning. Cover it with a plate and let it sit for 15 minutes. 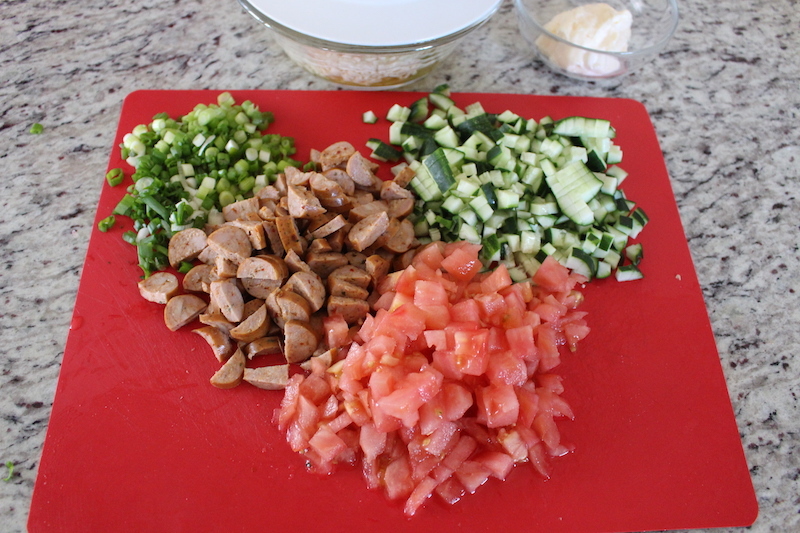 Wash, dry and cut your scallions, tomatoes, cucumbers and chicken sausage. 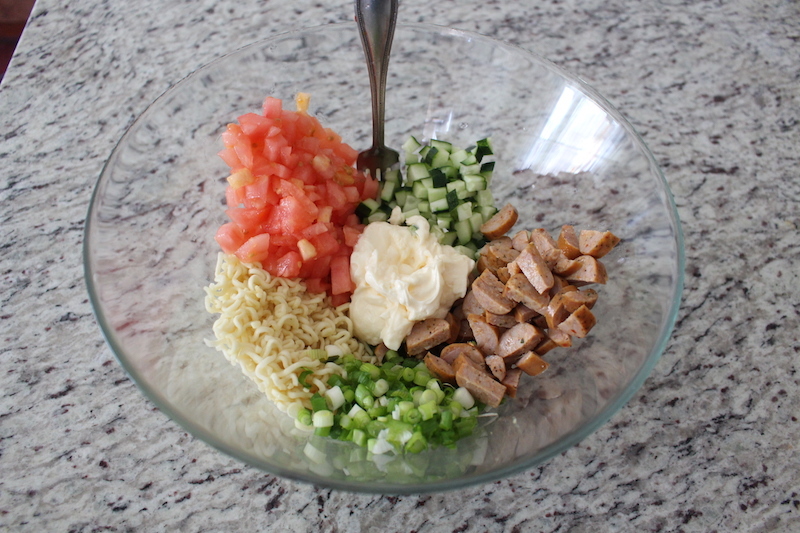 Add all your ingredients in to a bowl with mayonnaise and mix together well. Place on a serving dish and enjoy.